Though he cut his teeth a decade ago with eclectic, Philadelphia based group Toy Soldiers, local rocker Ron Gallo has been both cultivating an impressive solo career and cementing his place as a fixture in the Nashville scene since relocating to Music City a few years back. After an exploratory first record, RONNY, not long after his prior band’s demise, Gallo found what has become his defining style, voice, and attitude with 2017’s absolutely phenomenal, formal first LP, HEAVY META, an inspired, bold, and passionate fusion of garage punk, indie, and art rock, which we named the best local record of 2017. Attracting ubiquitous critical-acclaim, Gallo’s debut propelled him to swift, newfound, widespread attention, and his subsequent time on the road inspired this year’s followup EP, Really Nice Guys, which both satirizes the industry and pokes fun at Ron himself, while still managing to push his garage, punk, and psych rock tendencies with some solid, albeit more lighthearted and meta, new material, a staple of recent performances a summer full of festival dates. While the EP was fun, we’ve been anxiously awaiting what would be Gallo’s proper followup to HEAVY META, and earlier today, the rocker finally filled us in on the details. Dubbed Stardust Birthday Party, Ron’s sophomore effort is slated to arrive Oct. 5 through New West Records, and will serve as something of a counterpoint, or spiritual 180 from his debut. As Gallo explains, HEAVY META was largely written during a tumultuous time, during the fallout of a breakout with a partner struggling with mental health and addiction, and a time he felt angry, disillusioned, and disheartened by the state of the world. After time spent soul-searching, witnessing his former partner’s recovery, journeying to a silent retreat in California, and undergoing an existential change by learning to look within and affect the world by affecting his own self-perception and perspective, Ron has emerged with a new outlook and a more loving and compassionate control of the person that he is. As a result, Stardust Birthday Party maintains Gallo’s thinking man’s punk attitude and poetic underpinning, but largely ditches the angst in favor of navigating the steps of self-analysis, self-acceptance, and adjusting one’s perspective. 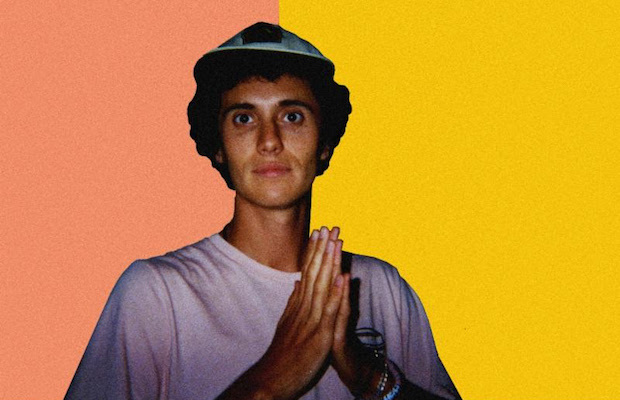 First single “It’s All Gonna Be OK,” which you can hear below, definitely sounds like a Ron Gallo song, but it’s a new side of Gallo which, when viewed in tandem with his debut, gives a glimpse of an artist with so much dimension, finally learning to navigate his own sense of self like never before. After a lengthy run of fall dates in support of his forthcoming release (which you can pre-order now), Ron returns home to headline The Basement East on Nov. 17. Its a way’s way, but, already, and especially after Stardust drops, we’re flagging it one of the most essential shows of the fall. Grab tickets when they go on sale next Friday, Aug. 10, at 12 p.m. CDT right here! [REMINDER] Don’t Miss Grimes w/ Nicole Dollanganger | TONIGHT @ Marathon Music Works!